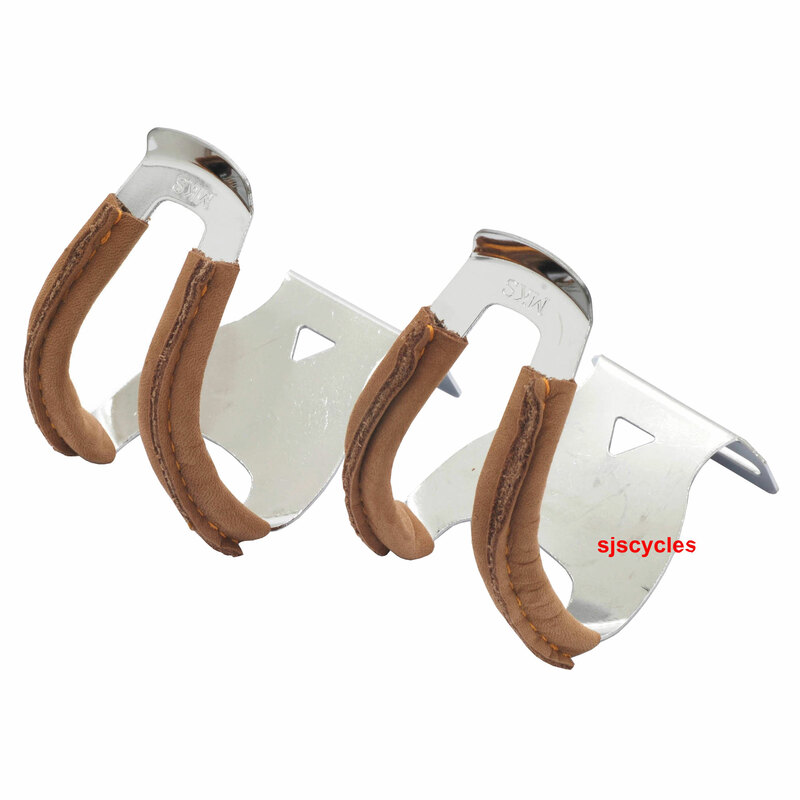 All the benefits of the half clip but with a hand stitched Japanese Leather cover on the clip that really protects your shoes from marks/scuffs. The perfect commuter clip. Exactly what I needed, delivered promptly by SJS for a very fair price. Do you off the non-deep version of this leather and steel half clip? Do you offer the non-deep version of this leather and steel half clip? I'm a size 42.5 and will be wearing thin-soled trainers (e.g. Adidas), smart leather shoes for the office or even traditional slim leather cycling shoes with the clips and fear the deep clips will be too large for a snug fit. Unfortunately I cannot see that these are available in standard depth from our supplier. Can I use with Brompton pedal? Will they fit size 42 shoe? Unfortunately there is no provisions for fitting a set of toe clips to either of Bromptons pedals. These toe clips are the deep option so whilst they would be suitable for use with sized 42 shoes, your feet would sit fairly far forward. These are the deep options so are 55mm in depth. Can These Be Used With Platform Pedals? Has son (4) just got a pedal bike. He has a mild disability which means his right foot struggles to stay on the pedal and I'm trying to find a solution. I was wondering if these clips would fit to platform pedals and if they would be too big? Some platform pedals have provisions to fit these toe clips but without knowing which pedals it is you have I can't say whether it will fit or not. It is also very likely that the clips would be too big for a 4 year old. I would recommend looking at some toe straps as it would fit a wider range of pedals and would allow you to get a tighter fit.